Cur, Cul, Cu, Turkish, Vietnamese origin Mien, Khmer Krom. Cur, Cul, Cu, Turkish, Vietnamese origin Mien, Khmer Krom. 1 million people. 1 million people. Live concentrated in the provinces of Soc Trang, Vinh Long, Tra Vinh, Can Tho, Kien Giang, An Giang. Live concentrated in the provinces of Soc Trang, Vinh Long, Tra Vinh, Can Tho, Kien Giang, An Giang. 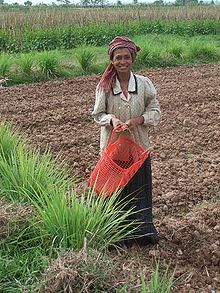 Khmer known intensive rice long life. Khmer known intensive rice long life. Compatriots that selected rice varieties, known as hydraulic and tidal advantage to brass tomatoes, drop alum improving soil, localities have grown watermelon. Compatriots that selected rice varieties, known as hydraulic and tidal advantage to brass tomatoes, drop alum improving soil, Localities have grown watermelon. Compatriots and comprehensive economic development such as breeding cattle to pull plows, raising pigs, chickens, ducks forums and fish and development of crafts such as weaving, pottery, made from palm sugar. Compatriots and comprehensive economic development such as breeding cattle to pull plows, raising pigs, chickens, ducks and fish forums and development of crafts such as weaving, pottery, made from palm sugar. Long and now, a Khmer temple venues cultural activities - social compatriots. Long and now, a Khmer temple venues cultural activities - social compatriots. In each temple there are many professors (called his record) and by the head engineer. In each temple there are many professors (called his record) and by the head engineer. Young adult before the Khmer temple often to learn to cultivate tu virtue and knowledge. Young adult before the Khmer temple often to learn to cultivate Virtue and knowledge age. Currently in the South has more than 400 Khmer temples. Currently in the South has more than 400 Khmer temples. House temple often teaches production experience, teaching Khmer words. House temple often Teaches production experience, teaching Khmer words. Khmer compatriots voice and writing, but the same culture, a history of protecting and building the national Vietnamese Khmer compatriots voice and writing, but the same culture, a history of protecting and building the national Vietnam Men Men. . Khmer compatriots living cells interspersed with the Kinh, Hoa in Phum, care village. Khmer compatriots living cells interspersed with the Kinh, Hoa in Phum, care village. Southern Khmer compatriots many beliefs and customs and culture of art is unique. Southern Khmer compatriots many beliefs and customs and culture of art is unique. These teams often have big temple drums, horns, forums, a team ghe ngo ... These teams often have big temple drums, horns, forums, a team ghe ngo ... The annual festival of the Khmer have, on Tet nation. The annual festival of the Khmer have, on Tet nation. Khmer compatriots have chosen for the major holidays male mechanic (New Year), Buddha's birthday ceremony, ceremony is (pardon's death), bombs booc OOC (same page). Khmer compatriots have chosen male mechanic for the major holidays (New Year), Buddha's birthday ceremony, ceremony is (pardon's death), bombs booc OOC (same page). River is now in the Khmer land. River is now in the Khmer land. The soil skeleton is made quite sure. The soil skeleton is made quite sure. Many workplaces truss style of the local Vietnamese. Many workplaces truss style of the local Vietnamese. Decorate the home is as follows: The split into two sections horizontally, making a place in a section for kitchen ná»±c. Decorate the home is as follows: The split into two sections horizontally, making a place in a section for kitchen ná»±c. Section to remain divided vertically into two parts: the front, in the statistics tables and chairs to customers, often next to the cabinet glass containers were embroidered pillow just to decorate just a means for visitors. Section to remain divided vertically into two parts: the front, in the statistics tables and chairs to customers, often next to the cabinet glass containers were embroidered pillow just to decorate just a means for visitors. After the furniture to customers is Buddhist altars. After the furniture to customers is Buddhist altars. More later, the couple must be a chamber of the landlord. More later, the couple must be a chamber of the landlord. Room on the left is her daughter. Room on the left is her daughter. Costumes are traditional in style personality and style of dress wear clothing associated with the Buddhist education credit. Costumes are traditional in style personality and style of dress wear clothing associated with the Buddhist education credit. Daily male middle-aged and older people often wear three of her black, solid wrap scarf on top. Daily male middle-aged and older people often wear three of her black, solid wrap scarf on top. The rites, Tet they wear her three white, black trousers (or black shirt, white scarf Riding Hood horizontal cross squeezed hip to left shoulder. The wedding groom often in the "sarong" (Hol) and short coat removed than red. This is a dress cut chest, neck standing set Chrysanthemum, White Riding Hood extractor over the left shoulder strap and extra knife''wedding''(kam Pach) means to protect the bride. Youth today when at home often do not wear a sarong and wrap the''who''stripes. The rites, her three Tet they wear white, black trousers (or black shirt, white scarf Riding Hood horizontal cross squeezed hip to left shoulder. The wedding groom often in the "sarong" (Hol) and short coat removed than red. This is a dress cut chest, neck standing set Chrysanthemum, White Riding Hood extractor over the left shoulder strap and extra knife''wedding''(kam Pach) means to protect the bride. Youth today when at home often do not wear a sarong and wrap the''who''stripes. Ago three, forty years Khmer Southern women often wear tattoos''pot''(dress). Ago three, forty years Khmer Southern women often wear tattoos''pot''(dress). That is a silk dress, tubular (closed). That is a silk dress, tubular (closed). The dress is typical pot leg tattoos compliment, a dress open, wrapped around the body but different ethnic others have this type of dress is the dress with the body. The dress is typical pot compliment leg tattoos, a dress open, wrapped around the body but different ethnic others have this type of dress is the dress with the body. That's how Conduits between the legs after the first, and then pull up next to the side forming a short and wide pants. That's how conduits between the legs after the first, and then pull up next to the side forming a short and wide pants. If the dress and how to create a pattern on the skirt tip size may be contact with other groups wear the dress this way can be considered as a unique characteristic of Khmer South. If the dress and how to create a pattern on the skirt tip size may be contact with other groups wear the dress this way can be considered as a unique characteristic of Khmer South. They usually wear skirts during the big holidays, every day wearing a different color throughout the week. They usually wear skirts during the big holidays, wearing a different color every day throughout the week. That tattoo is a mixed pot spoon. That tattoo is a mixed pot spoon. Today the small types that, there is only reasonable to traditional stage only. Today the small types that, there is only reasonable to traditional stage only. Khmer people have technical fabrics dyed black tuyá»n fast ball from results may wear costumes for Trick. Khmer people have technical fabrics dyed black tuyá»n fast ball from results may wear costumes for Trick. Now the daily Khmer cultural influences via Kinh costumes. Now the daily Khmer cultural influences via Kinh costumes. During holidays, New Year Left wear long dress like the Cham. During holidays, New Year left wear long dress like the Cham. In addition women also common types Khmer Krama scarf woven green squares, red on white background. In addition women also common types Khmer Krama scarf woven green squares, red on white background. Wedding day brides often wear a tattoo pot Hol dark purple or pink lotus, long dark coat red Pong Court, Riding Hood through the cross, crown type hat or plac pkel Building tower pointed metal or paper bá»“i . Wedding day brides often wear a tattoo pot Hol dark purple or pink lotus, long dark coat red Pong Court, Riding Hood through the cross, crown type hat or plac pkel Building tower pointed metal or paper pool.